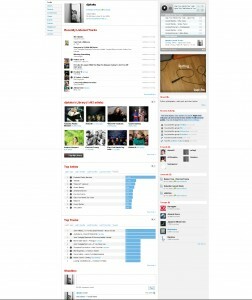 Last.fm is getting close to relaunching their site and I was invited to participate in the beta program. 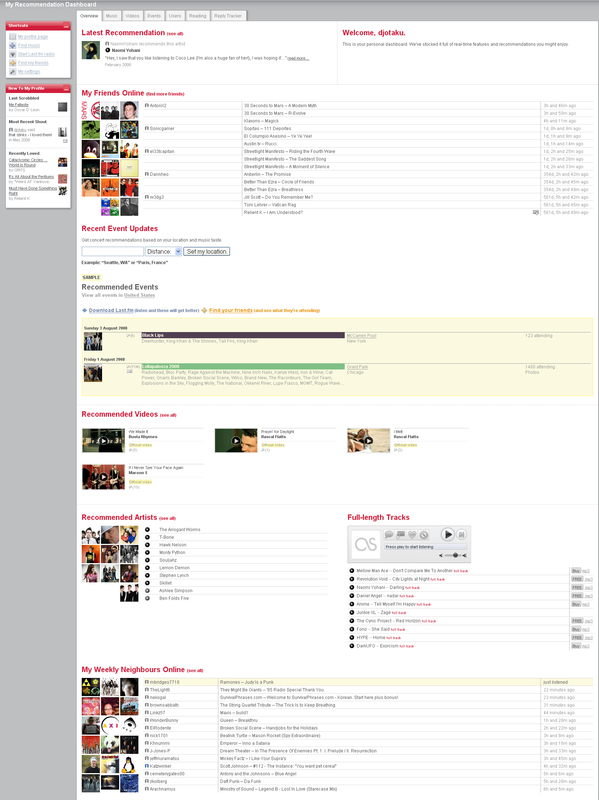 I think the new design has some great new features and I wanted to share it with you so you could get excited about it too. 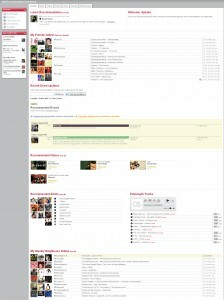 In addition to being a lot cleaner, it also has a lot more functionality. 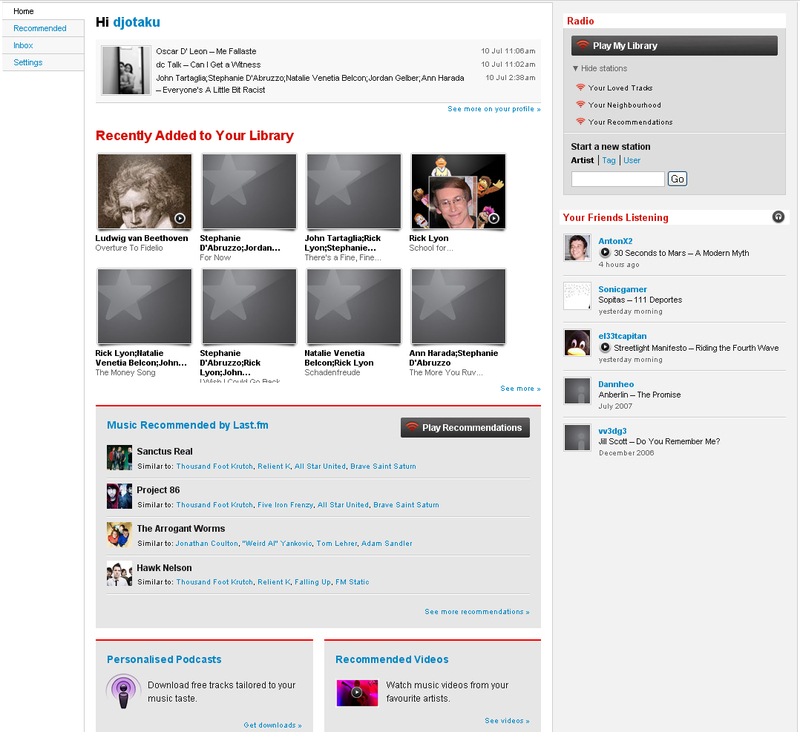 At the top is a radio ready to play songs from artists I scrobble. 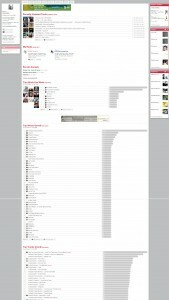 The charts are condensed and include info from the past 7 days as well as long-term. I like this because before it was only one or the other on the front page. 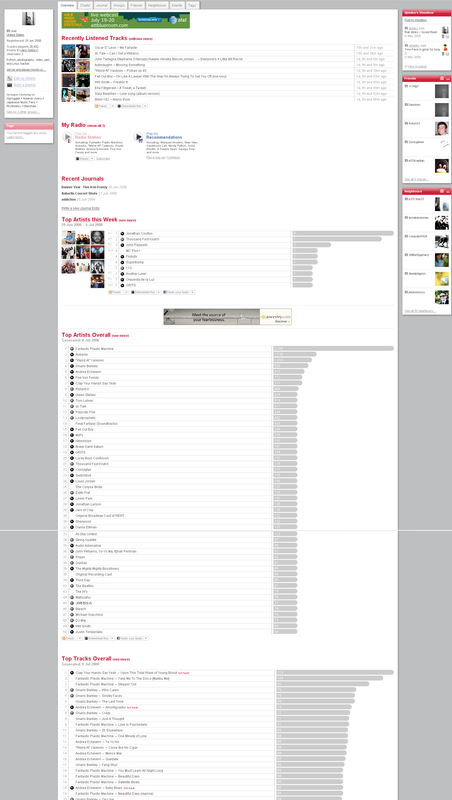 Also, it appears that it will always show your last week’s worth of scrobbles instead of just updating on Sundays. 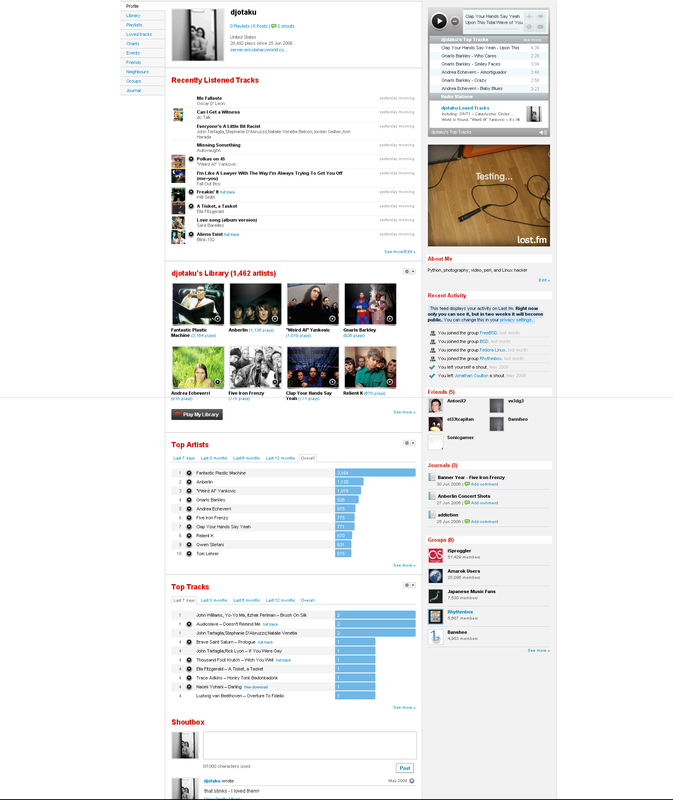 Overall I’m extremely excited about the new last.fm layout. One bit of warning, though: This is all beta and could end up radically different by the time they finally launch. I checked it out the other day too, it’s looking very nice.